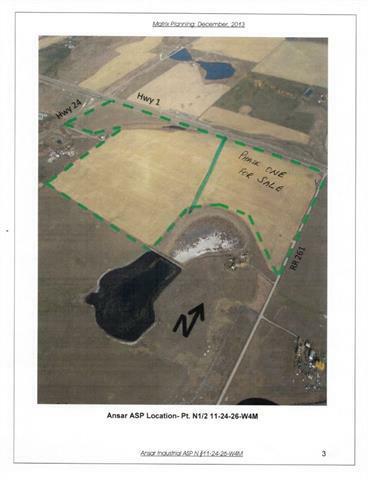 39.63 Acres land for sale This one is rare find just on the corner of Trans Canada Highway and range road 261 East of Highway 24. 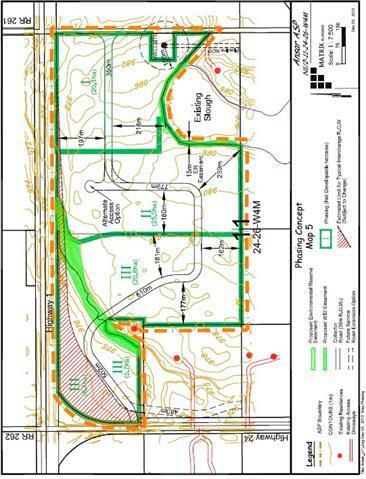 Total measuring 185.9 acres out of which 39.63 acres+- (phase ONE) Parcel sub-dividable for sale exposure on Highway 1 East. 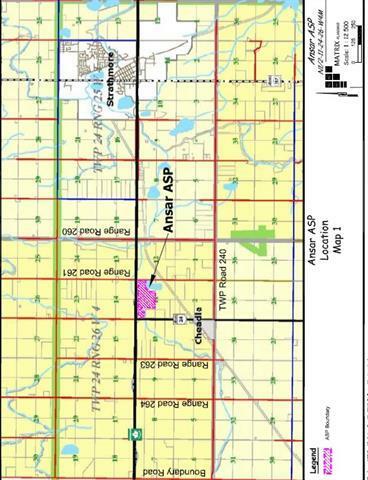 See the link Highway 1 west Area Structure Plan ( ANSAR Industrial Park ). 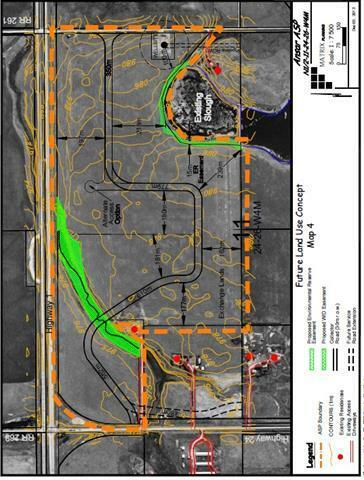 This could be a very lucrative investment due to exposure on the Highway 1 and Range road 261. Since the ASP in place there is great potential for numerous business opportunities. There seems no opportunity available in this price along the Highway 1 between Calgary and Strathmore on the either side of the Highway.